Have we got a fun place for you! If you have bored kids, hyper kids, challenging kids, ANY kind of kids, you are going to love Cumberland Park in Downtown Nashville. 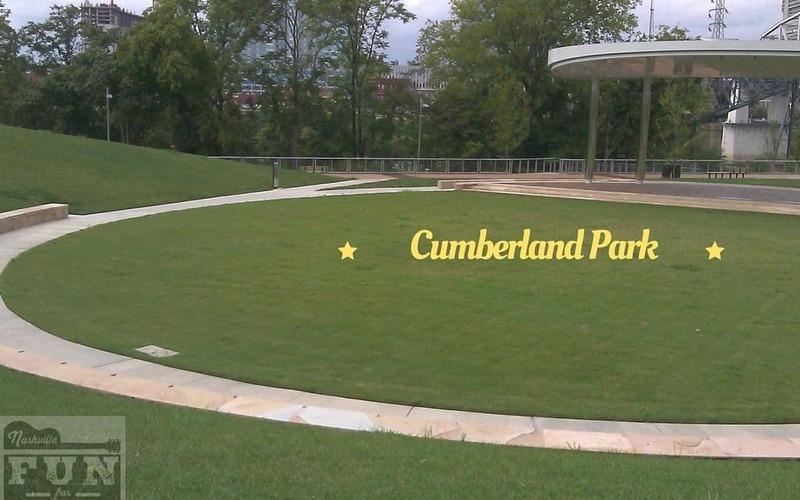 Nestled between the Shelby Street Pedestrian bridge and the Korean War Veterans Memorial Bridge, Cumberland Park has a variety of experiences for adults and children. The view alone is worth the trip even if you find yourself there without kids. The park features a completely unique playscape with AstroTurf and grass. There is a seesaw, trees, balance boards and a small grassy area above. The layout is a series of hills and valleys covered with that great ‘spongy’ type play surface. Surrounding the playscape is a great butterfly garden and a walking trail. The trail is great for walking but is probably not stroller or wheelchair accessible. The park also features a splash pad perfect for cooling off during the hot Nashville summers. 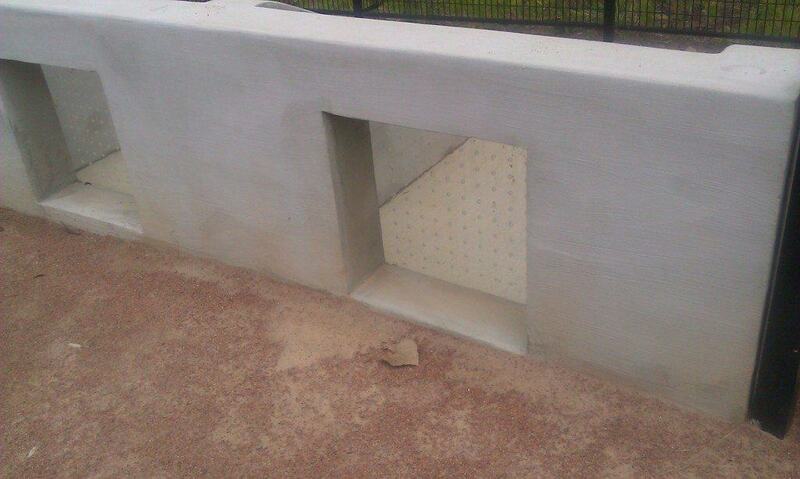 There is also a sand play area and a tables perfect for a picnic by the river. Another great feature of the park is the active area. It has a rope climb, a rock wall and a challenging rope course. The park also has an area I don’t quite understand. Does anyone know what this is? It looks like a place your kids could play ‘prison visiting day’ but I’m guessing that is not the actual purpose. It’s just a low concrete wall with plexiglass windows full of holes. Leave us a comment if you unravel this mystery. The park does offer clean bathrooms with changing stations. There are also water fountains available.